 Creative Links Ltd. (CL for short) is a Macao-based cultural and creative industries management service company, cooperative network throughout Asia, Europe, Australia and North America. CL uses unique concept to integrate companies, governments and institutions with culture and arts, as well as to bridge Macao and international cooperation in cultural and creative industries. Meanwhile, CL provides consultancy and planning services for Macao and overseas artists or organizations in order to identify the characteristics in Macao art works; furthermore, promote those on worldwide art market. Erik is an independent producer of interdisciplinary and intercultural projects. A member of "Asian Producers' Platform". He has worked as programmer and festival producer in the cultural department of Macao government for more than a decade. He has produced fringe festivals, arts festivals, film festivals and other public festival events. He recently focuses on curating international arts collaboration projects and producing collaborations between Asians and international artists. Erik was appointed to be the executive director of “The 8th Chinese Drama Festival, Macau 2011” and “BOK Festival" since 2015. He is also the executive director of “Point View Art Association”. In 2009, he founded an arts and creative industries management service company “Creative Links Ltd.” which curates collaborations between public or private sector with business sector to promote the local arts and creative industries to the international market. Erik was invited to participate in the “Asian Creative Producer Forum” and “The Creative Producers’ Network Forum in Asia” held in Korea since 2008, as the representative of Macau. He was also invited to be one of the lecturers at the “International Arts Manager Seminar and Workshop” in the “Annual Contemporary Dance Conference and Performance Festival” in Poland in 2009. In the year 2009 of Macao celebrating it’s handover to China, he produced “Olá Beijing! Macau Contemporary Arts in Beijing” which is the first Macao festival in Beijing. The festival showcased site-specific performances, independent films, indie music concerts and contemporary art exhibitions. He was invited to curate the project “Macao directors film Macao” for the handover special programme by the China Central Television (CCTV). Recent producing projects, “Playing Landscape” (China and Europe Tour), “MOP2012” (Macau and Poland contemporary dance collaboration project), “Traveling Hometown” (co-producing with Seoul and HK), “Whispering in the leaves” (Arts residency project), “The Folga Project”. For film and TV projects, “Macao directors film Macao” (CCTV handover special programme), “In between Landscape” (a documentary on the road), “But, myself” (a dance video) and “Macau dance video collaboration platform” etc.